We have heard – and will continue to hear – Brian Kelly’s thoughts on Clemson during the lead-up to Notre Dame’s semifinal matchup with the Tigers, but during Thursday’s College Football Playoff media conference, we got to hear Nick Saban’s thoughts. And Saban’s may be as informative as anybody’s considering he’s faced Clemson in the last three Playoffs, including a pair of matchups for the national title. Saban noted there are plenty of books about how to be successful, but not so many on how to remain successful. SABAN SAYS GEORGIA SHOULD HAVE MADE IT…OR DOES HE? : Saban’s comments on Georgia were even more interesting. 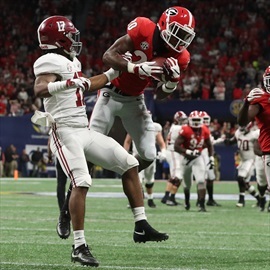 Following Alabama’s close 35-28 win over the Bulldogs in last week’s SEC Championship Game, Saban said Georgia was one of the top four teams in the country. Yet, when his votes for the final coaches’ poll were revealed, he had the Bulldogs at #5. 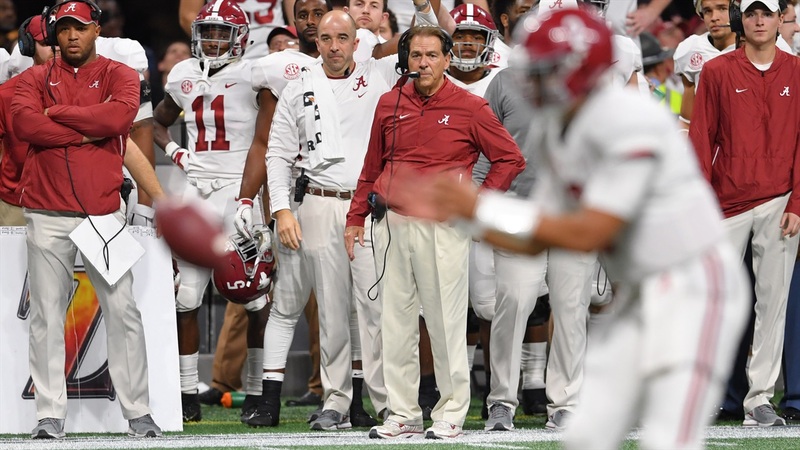 Saban called the SEC title game a de facto playoff game and reiterated his belief that Georgia was one of the top four teams. “And that's no disrespect to any of the people that are here,” he said. His decision to vote for the teams he thought would be in the top four instead of the teams he believed should be in the top four wasn’t the only confusing thing he said on the topic. He was asked if the absence of Georgia meant he didn’t believe the best four teams were selected. EXAMINING IRISH X-FACTORS: Kelly pointed to Clemson’s ability to finish off opponents when asked about the Tigers’ X-factor. Swinney, meanwhile, called the Irish “battle-tested” when asked the same question. “They've been in some great venues this year, some unique places that they've had to go play,” the Clemson head coach said. “They've played some excellent teams, and they've had a lot of different challenges. I'm just kind of really diving in deeply into their season, but they've handled adversity. One week after Kelly made the switch from Brandon Wimbush to Ian Book at quarterback, Swinney essentially made the same choice, electing to start Trevor Lawrence over the more experienced Kelly Bryant, who would end up leaving the team via transfer. “Their quarterback has just grown and grown and grown as the season has gone,” Swinney said of Book. HEISMAN HOPEFULS HIGHLIGHT OTHER SEMI: While the Notre Dame-Clemson semifinal will include a pair of quarterbacks who started the season as backups, the Alabama-Oklahoma matchup will be highlighted by two signal-callers who began the year as Heisman hopefuls. 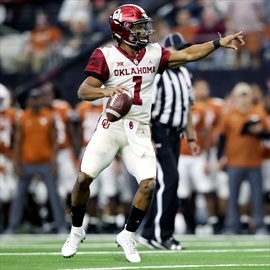 And that’s just how Alabama’s Tua Tagovailoa and Oklahoma’s Kyler Murray finished the year. The two will be in New York for the presentation of the prestigious award, along with Ohio State quarterback Dwayne Haskins, on Saturday night. Many considered Tagovailoa a lock to take home the trophy for much of the season, but Murray actually heads into the weekend as the favorite. If that’s how it plays out, it’ll give Oklahoma’s Lincoln Riley two Heisman trophy-winning quarterbacks in two seasons as a head coach after Baker Mayfield claimed the award a year ago. “It's such a unique moment when your guy has a chance to win that,” Riley said. “It's been a great thing for our school. We've been very fortunate, we've had six, and to have a chance to have the seventh would be really something special. Murray has taken the same dual-sport role as multiple Notre Dame athletes by balancing football and baseball in recent years. The plan seems to be for Murray to turn in his helmet and shoulder pads after this season to pursue a professional career in baseball, which wouldn’t be a surprise considering he was drafted ninth overall by the Oakland A’s in June’s Major League Baseball Draft and agreeing to a contract that included a $4.76 million signing bonus. Riley noted that Murray didn’t play a ton with Mayfield on the squad last year and that he had “an average year” two seasons ago in baseball and suggested part of that was the difficulty of balancing both. “I really think we all learned – us, our baseball staff and Kyler – on how to manage it, what is too much,” Riley said. “You've got a thoroughbred like that, you've got to make sure and handle it the right way and set it up the right way. Meanwhile, Saban, Tagovailoa and Alabama fans are probably more concerned with the quarterback’s health than the results of Saturday’s vote. Tagovailoa had surgery on his ankle following the SEC Championship Game, although Saban said it was likely to cost him only a couple weeks.